The Marine Locker has catered to Bermuda's water enthusiasts for almost 30 years. 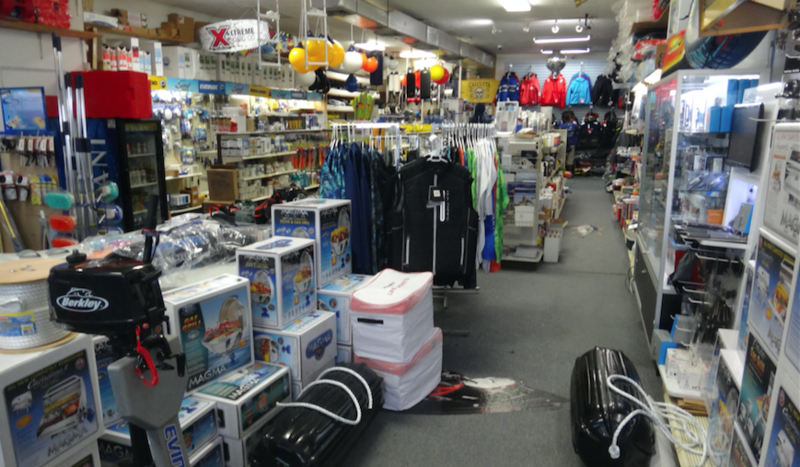 Whether you're gearing up for snorkeling, skiing, sailing, pleasure or power boating you'll find everything you need, from dinghies to engines to luxury cabin cruisers. Our world renowned brands include Tiara Yachts, Pursuit Boats, Scout Boats, as well as Maritime Skiff. We are proud Bermuda distributors for revolutionary BRP products like the Evinrude ETEC outboard and Sea-Doo watercraft. Our pride goes beyond sales to the finest marine service department on the island. Check out our services section for more details. Marine Locker's goal is to help you enjoy life on the water. Come to us to and we will satisfy you're needs, and if we don't have what you need - we'll harness decades worth of contacts and partnerships to get it here right away. Leave the details and the stress to us, and spend more time on the water. Our helpful and knowledgeable staff have a commitment to excellence and a commitment to offering you the best value, the best products, and the best service..... its that simple! Marine Lockers Products: - Boats - Motors & Engines - Boat Parts Marine Lockers Services: Bermuda Marine Supply & Services is committed to providing the absolute best service on the island. This is a commitment to Bermuda that has delivered for 30 years. There are alot of good products available out there, but not many good options to back them up. When you want the best support team on the island - look to us. Our central, on the water location and superior technicians have the tools, the talent, the parts and the desire to put you on the water with efficiency and reliability.